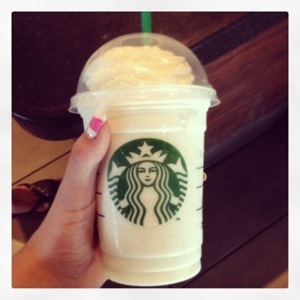 Today at Starbucks I decided to try the Chai Tea Latte Frappuccino! It was really good even though it doesn’t have a lot of flavor. I would recommend this drink to people who don’t want a lot of flavor or just want a simple frappuccino. This drink tastes really delicious and I enjoyed it! You can either get it as a latte or a frappuccino – but I always prefer cold drinks over warm, especially in the summer. This drink was about $3.75 for a tall, but I got a dollar off for completing a survey on a receipt so I only paid $2.75! Let me know if you’ve tried this drink and what you thought of it! Are you going to try the Chai Tea Latte Frappuccino before the summer ends? Let me know in the comments below! 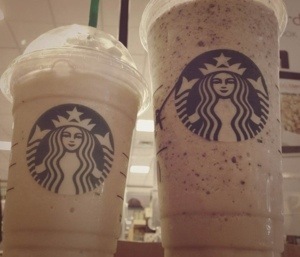 Chai Tea on left, Cookie Dough Frapuccino on right. My friend got the cookie dough frappuccino and it is heavenly! Though the recipe is complicated, if you’re looking for a drink to try from the secret menu, get this! You won’t regret it;) I am so glad my friend let me have a taste! Today I tried another frappuccino from the Starbucks secret menu! Intrigued by the name, I ordered it and was pleasantly surprised! It tastes exactly like Oreos! I prefer this over the cotton candy frap any day and it is so delicious. Don’t forget to add extra whipped cream! Starbucks baristas prefer if you give them the actual recipe… so do you best to find it because they may not know it at the top of their head! I always find the secret menu recipes on various Instagram pages. I’m sure you are wondering… What did I order? It’s easy! 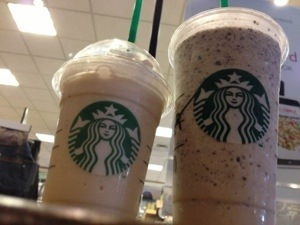 Simply ask for a double chocolate chip frappe and ask for white mocha syrup instead of regular! Enjoy your treat and let me know what you think of this secret frappuccino in the comments below! Oh, and one other thing… SHHH! Wow! Today was a long, fun day. 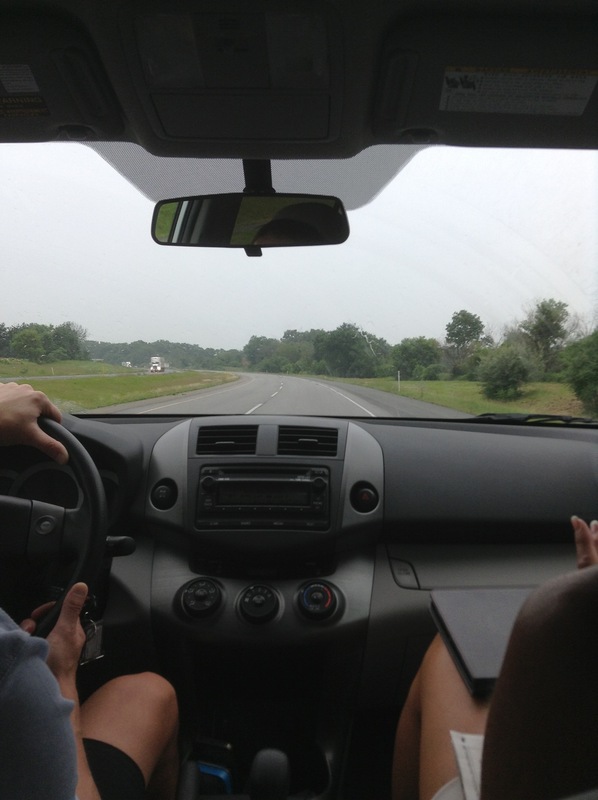 We decided to drive when we found out that the train ride was early and had very many confusing stops. Our trip took off at ten in the morning with nice sunny weather. 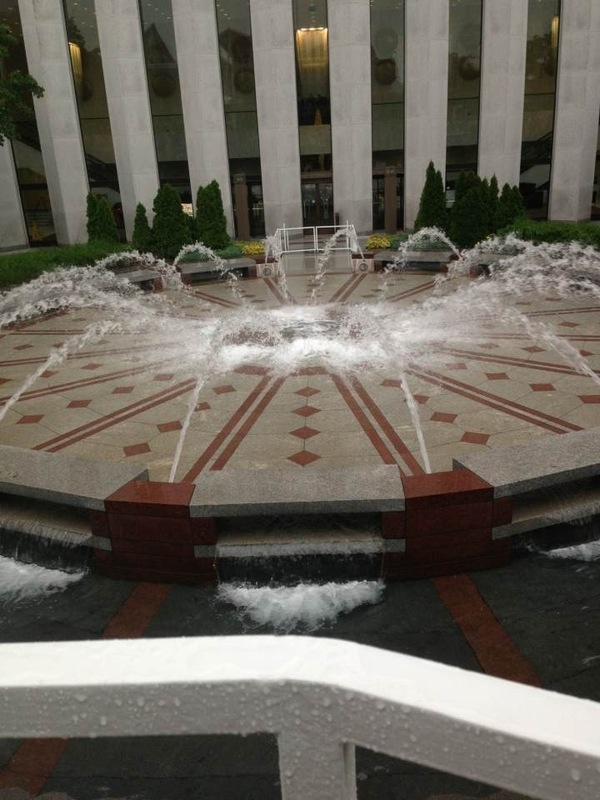 After about a half an hour, it started to sprinkle…then POUR. 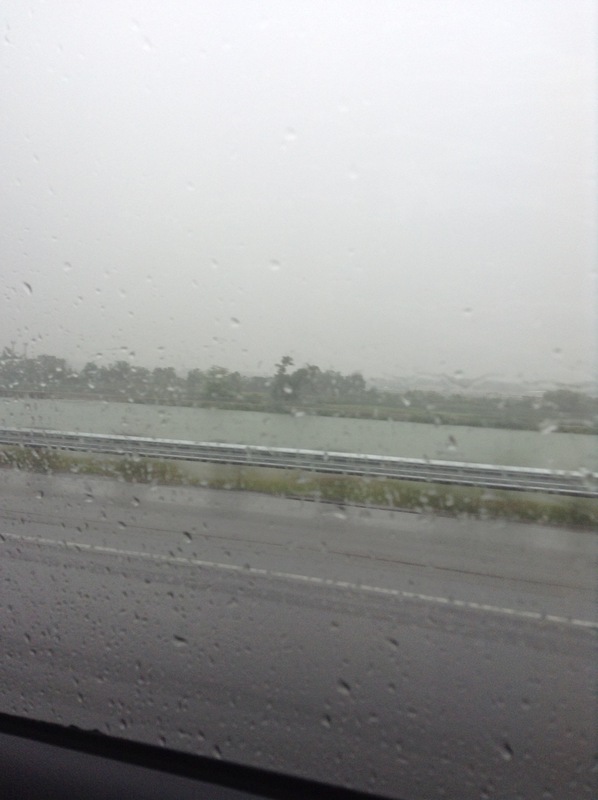 It was raining cats and dogs! I could barely see the cars in front of me. 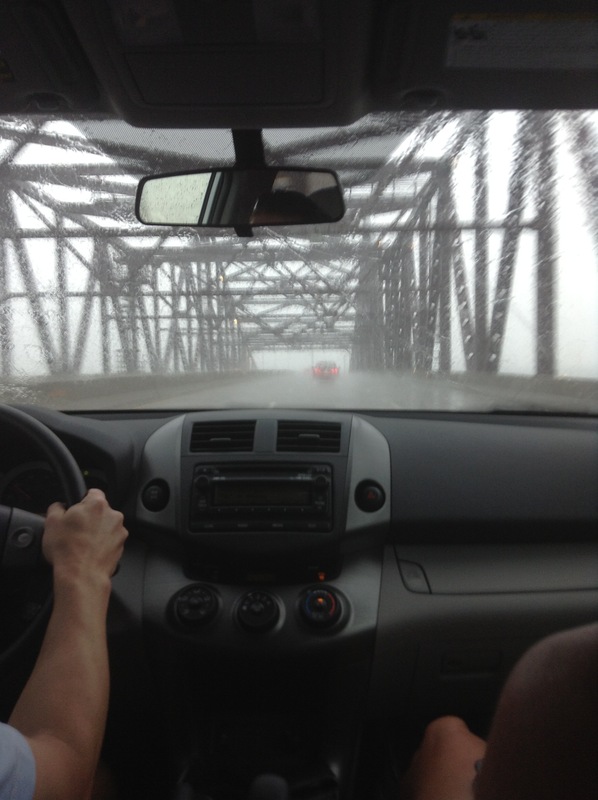 Once we drove across the bridge and parked in the parking garage, it was still raining. We ran across the street as fast as we could under a roof. 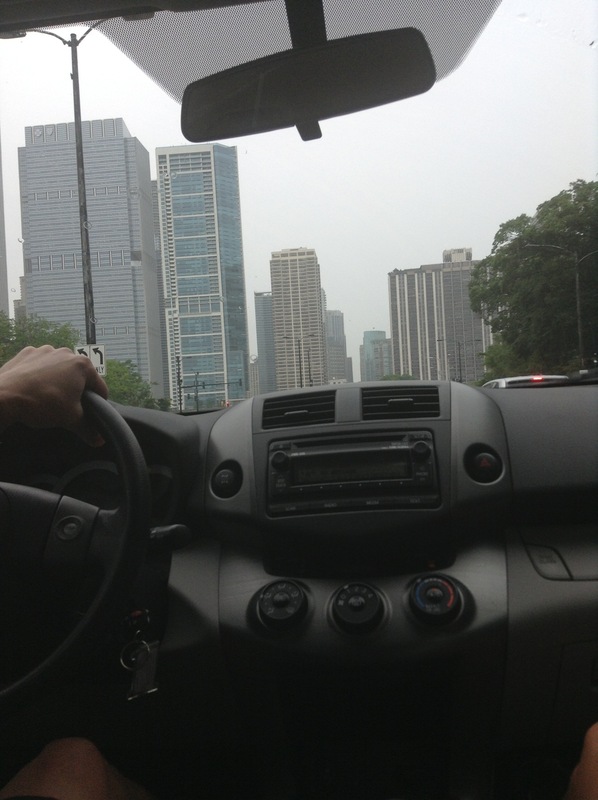 We planned where we were going to eat lunch – a famous deep-dish pizza place! We finally made it and ordered our food. 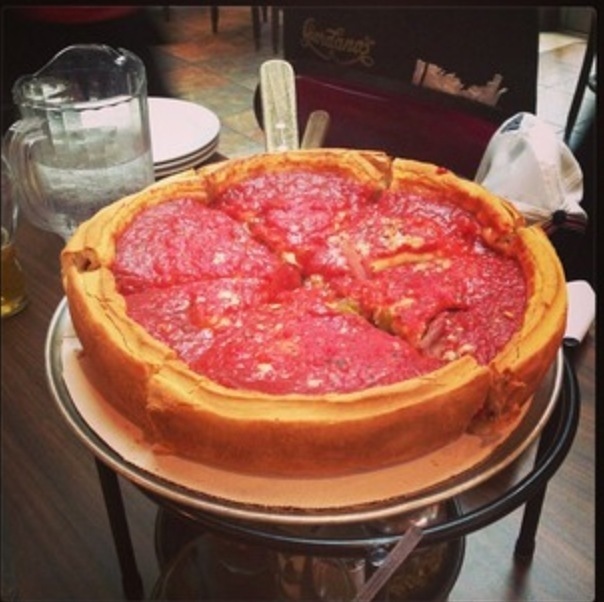 40 minutes later… Our cheesy deep dish pizza finally arrived! It was the best pizza I had ever eaten. It was so cheesy and yummy beyond belief. Once we were finished, it had stopped rainy and it was beginning to clear up. 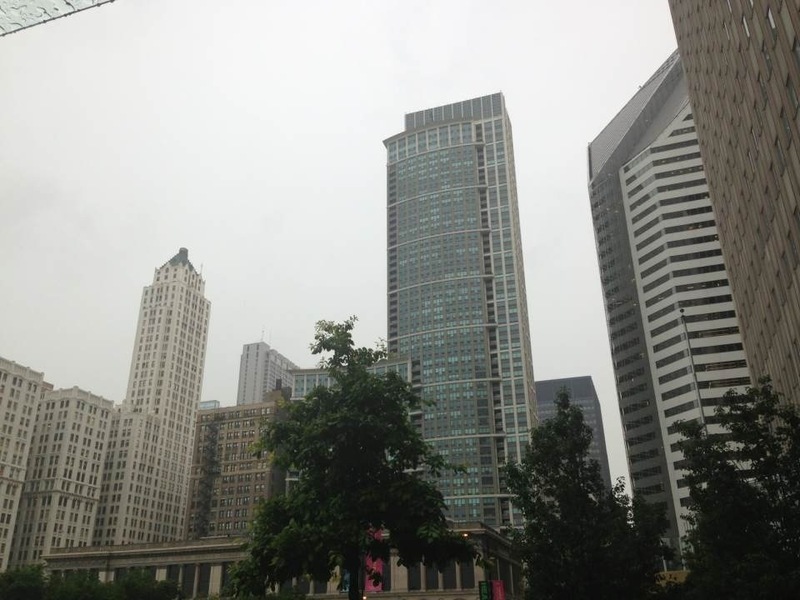 We started to walk on the Magnificent Mile and shopped on Michigan Avenue. 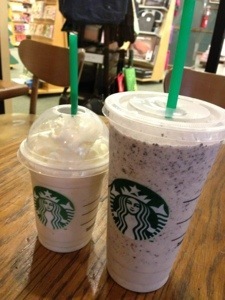 We stopped at a Starbucks to get a few refreshments and I tried another drink from the secret menu! 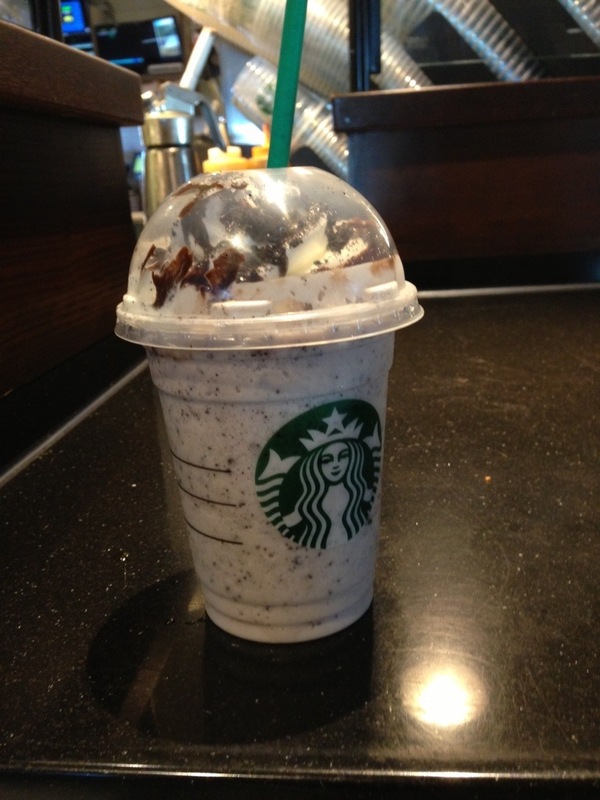 This time I tried the Turtle frap, a chocolate delicious drink. 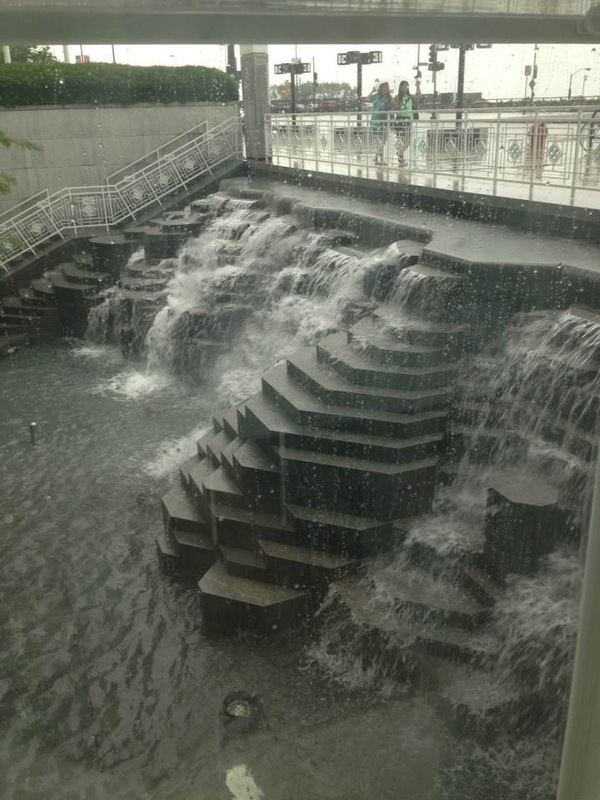 When we were finished, we stopped by a few more stores such as Forever 21, H&M, Hollister, Victoria’s Secret, etc. Our last stop was Sephora, and surprisingly I didn’t find anything there! I love their little travel sized product bins placed where you check out, but it was really overpriced. I could’ve sworn that I saw the same thing at Ulta for a much lower price! I was disappointed in that – I prefer Ulta because they carry high end and drugstore products. Chicago was full of skyscrapers! It was really fun and I enjoyed it! I’ll post a separate Chicago OOTD up soon. Here are some pictures below! Hey guys! 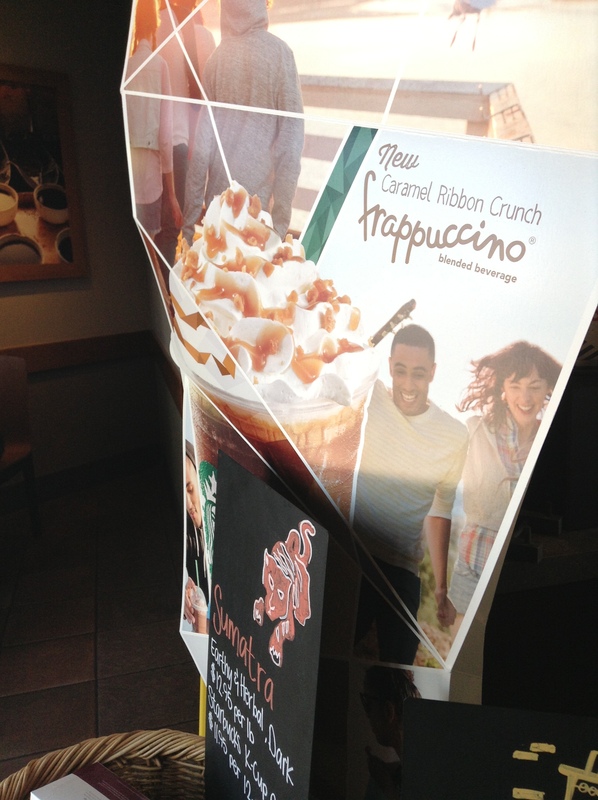 Today I have a post about the latest Starbucks drink, the Caramel Ribbon Crunch Frappuccino! This is a new drink with lots of caramel and cream with drizzles of crunchy sugar. I was craving for caramel and this was the right choice! I took this photo on my Instagram so that’s what it has the border and effect! I ordered this in decaf and the barista didn’t add any coffee either so it was just a sweet drink. It is up to you whether you want a coffee or not. I hope you like this quick delicious blog post! Remember to follow for a giveaway and let me know in the comments below of what you favorite drink at Starbucks is! 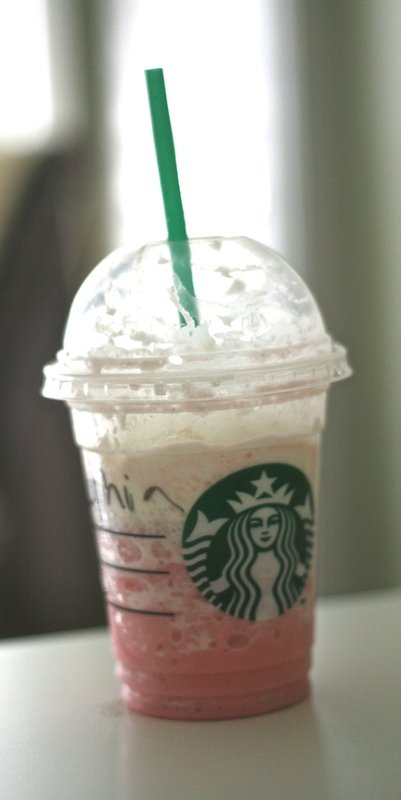 So many people have been talking about this… the Starbucks’ Cotton Candy Frappuccino. The catch? It’s not even on their menu! Apparently, it’s a part of their secret menu. 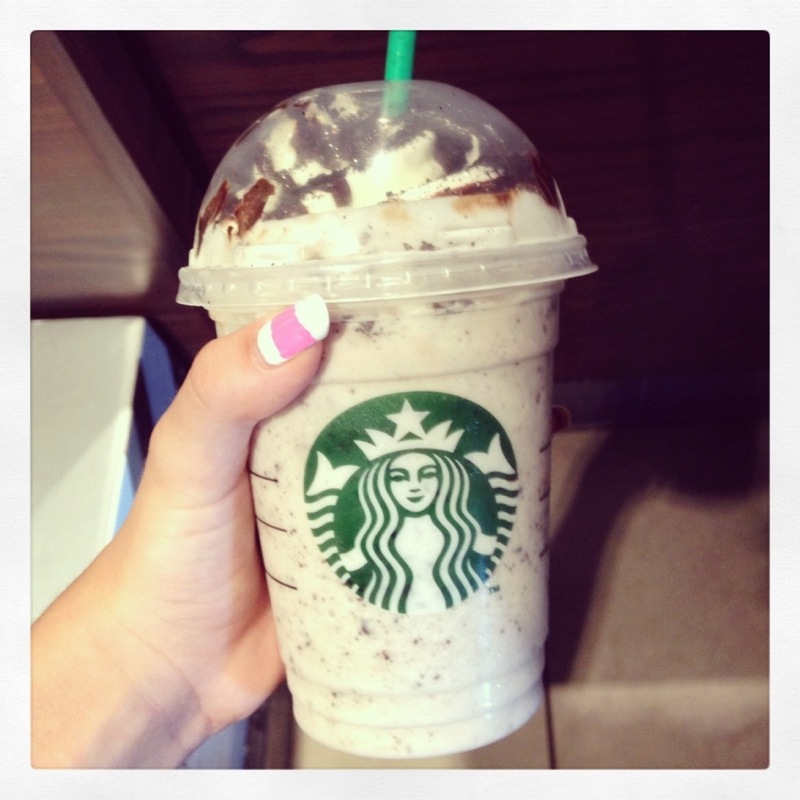 The secret menu includes more yummy drinks, and I didn’t even know Starbucks had a secret menu until now! Of course, I had to go try it. 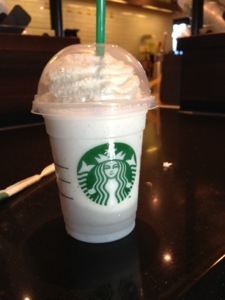 Who wouldn’t want to try a cotton candy frap?! The first sip was heaven. The vanilla and cotton candy taste combined was wonderful! 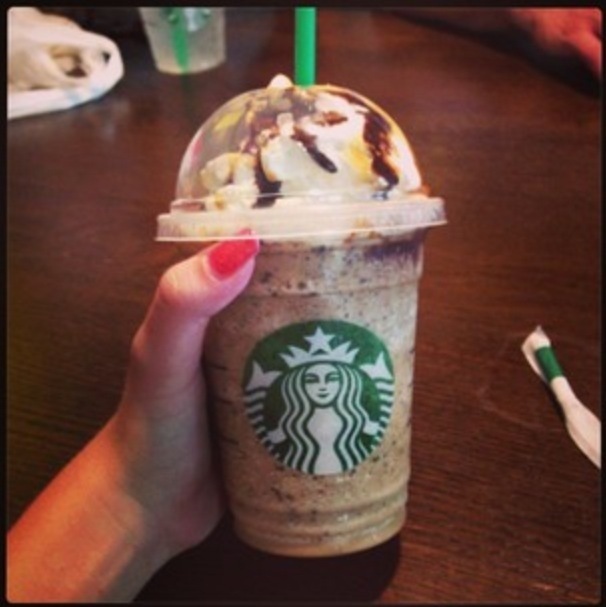 I’m so curious to try the rest of the frappuccinos on the secret menu! I ordered a tall vanilla frappuccino with one pump of raspberry, or you could just say you’d like a cotton candy frappuccino. The barista will definitely know what it is. Leave comments telling me what your favorite drink from the secret menu is!